Arjun Varma is founder and CEO at Chakra and has been in the events and catering business for over 20 years. He first came to the UK 1986 to do his MBA in international business and finance; a self-made entrepreneur since leaving University at the age of 21, Arjun started his own property business at the age of 24. 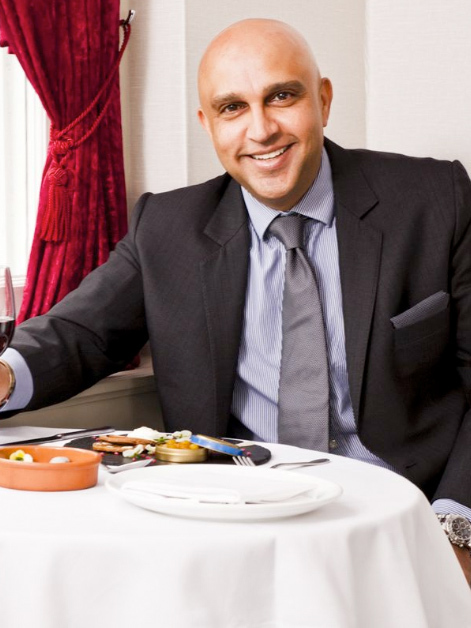 He dived into the food and catering industry in 1997, teaming up with his brother, Andy, to open their first Indian restaurant: Vama, situated on the iconic Kings Road in Chelsea which established itself as one of London’s finest restaurants over a 14-year period. Arjun then operated one of Britain’s largest food groups working with and developing iconic British brands such as Tiffin Bites in Canary Wharf and City and Bombay Bicycle Club which he helped expand into 28 different locations. Arjun then created our own brand Chakra in 2011 which he divided into three parts, Chakra Restaurant, Chakra-to-go and Chakra Events. Arjun is very passionate about events and catering, he is privileged to have been a part of some of the biggest events in the world. This has allowed him to work with clients from all over the globe and has given him a varied understanding of the high-end food and leisure sector from a wide range of cuisines. Over time, he has developed a close-knit and well experienced team of professionals to assist our clients with every aspect of their event. On the whole the industry doesn’t react very effectively to changes going on around it, like market conditions and labour shortages. A few things! I’d have to have a Thai green curry packed full of fresh vegetables, sautéed saffron tiger prawns, and a rib eye steak with black peppercorn sauce. I love to be active by going to the gym, playing tennis, and playing golf. Plus I travel when and where possible. The right work and family balance; which is quite difficult when working in the restaurant industry! Those who can achieve the above! Oh absolutely, I can never resist ice cream! I even once had hypnotherapy to try and cure me but unfortunately it didn’t work.